Home/Blog/CIRCUS HEARTS 1: All The Little Bones is on pre-order! 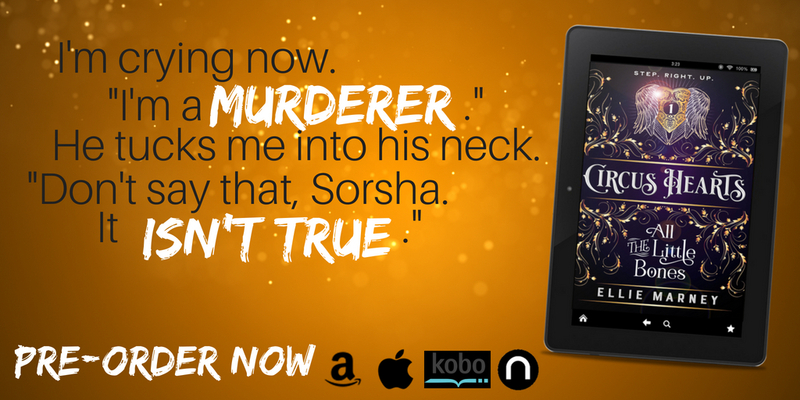 Pre-ordering means that the first Circus Hearts ebook will drop right into your device as soon as the clock ticks over to 1 September. I’m extremely excited (and also a bit terrified) about the Circus Hearts release, and I’m nervous and thrilled that you’ll all get to read it soon. For those of you asking about paperbacks – they arrive in December this year. Remember I said hang on to your receipts? That’s because I’m giving away a sweet-as Circus Hearts 1 postcard and a cute temporary tattoo to everyone who sends me a pic of their pre-order receipt. Just email me (elliemarney at gmail dot com) with your pic plus a snail-mail addy, and I’ll pop a card in the post for you. 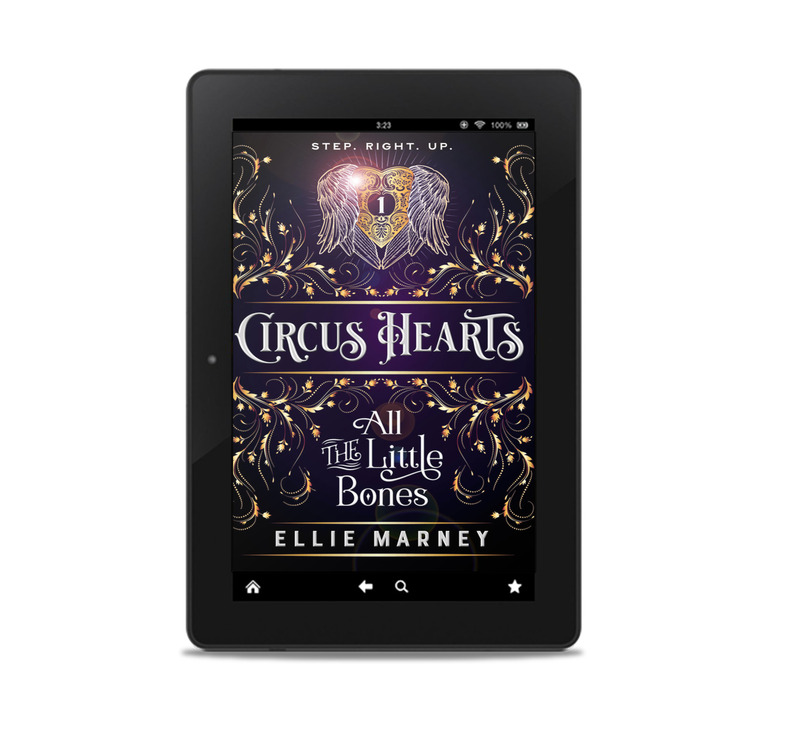 I’m also running another little giveaway to spread the love about the Circus Hearts 1 release, which you’re welcome to join in: Post your favourite circus-themed picture on social media, using the #CircusHearts tag (and tag me @elliemarney too, if you want to be sure I’ll get it) between now and 1 September. I’ll give away a free copy of the new ebook plus a $20 bookstore gift card to whoever posts the most gorgeous pic – I’m posting a new pic of my own every day on Insta and Twitter and also at my Bookapalooza FB group, and I’d love to see your circus vibes! I’ve posted the first chapter of the book up on Wattpad, so if you’d like to check the book out a little before plonking down your hard-earned cash, go here and enjoy. For those of you who’d like to join in sharing the Circus Hearts pre-order love, feel free to grab one of the images at this link and post them to your social media – there are banners, headers, Insta posts and more, so go wild. I love festival time though, especially when I get to visit students and schools. You can catch up with me at Melbourne Writers Festival if that’s something you’d like to do – I’m talking to Rebecca Lim about YA Crime Fiction here and chatting to Amie Kaufman about life in space here (that one’s in Warrnambool). I can’t believe Circus Hearts 1 is about to release – far out. For those of you who’ve been watching as these books have developed…we’re nearly there! Catch you again in a week, when I’ll announce the release, and meanwhile have a lovely August!